Not the most exciting of terms, but an essential area for any business to get right. It’s fair to say health and safety isn’t the most glamourous of terms, conjuring up images of pedantic people carrying clipboards and an endless amount of paperwork. However, it’s not something to be dismissive of as a business – get it wrong, and the consequences can be long-term and extremely expensive. In this article, you’ll find a thorough guide to what you need to know about health and safety as a small business owner. 01 | Do you need to register as part of your health and safety responsibilities? 02 | Who are you responsible for? 04 | What special situations should you be aware of? 05 | How do you write a health and safety policy? 06 | Do you need to train your employees in health and safety? 07 | Employee health and safety responsibilities? 08 | What health and safety information do you need to provide for your staff? 09 | What particular hazards should you take into account when carrying out a risk assessment? 10 | What fire precautions do you need to take? 11 | How do you provide for employee welfare? 13 | What happens when an accident or emergency occurs? 15 | Where do you go for help and support? Do you need to register as part of your health and safety responsibilities? In general, no – from 2009, changes in the law mean that you generally no longer need to register with the appropriate authority to comply with health and safety. This includes businesses like offices and shops that previously needed to register with the Health and Safety Executive (HSE). However, a limited number of businesses may still need to register or obtain a license in order to comply with other regulations, such as when you plan to undergo construction or demolition work. A list of registration forms can be found on this page. Building a website for your business idea is easier than you might think. As a business owner, you are held responsible for the health and safety of everyone affected by your business. This doesn’t just mean your staff, but anyone who is on or around your premises and anyone affected by goods or services you sell – so it includes visitors, consumers and potentially other members of the public. This means you need to take various steps to comply with the law, including developing a health and safety policy and make suitable arrangements for employee welfare – see below for an explanation. You also need to undertake what’s known as a risk assessment, where you identify and take measures to offset potential hazards to health and safety within your business. HSE has provided a guide to small and medium-sized businesses, covering what you need to do when conducting a risk assessment – click here for further information. You must also have employers’ liability insurance in order to comply with the law. The select exceptions to this include businesses with no employees or a family business where all of your employees are also close relatives. Under the Health and Safety at Work Act, every employer has a duty to ensure that, so far as is reasonably practicable, the health, safety and welfare of employees are protected. A breach of this duty of care, by either the employer or the employee could result in a civil case, or a criminal prosecution by the HSE inspector. 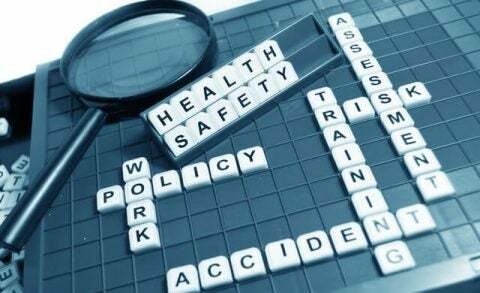 As the Health and Safety at Work Act is written in general terms only, the more detailed specific requirements are explained detailed in various other regulations, which are approved by Parliament and have the force of law. These regulations address common factors in workplace accidents such as the maintenance of the workplace, ventilation, the temperature of indoor workplaces, lighting, cleaning and waste materials, room dimensions and space, and the condition of floors and traffic routes. Floors and traffic routes, should have no holes, slopes or be uneven or slippery, and must have effective means of drainage where necessary. They must also be free from obstructions. The workplace regulations also cover falls or falling objects, washing facilities, escalators and doors and gates. The regulations specify that so far as is reasonably practicable, each employer must avoid the need for his employees to undertake any manual handling operations at work which involve a risk of their being injured. Where it is not reasonably practicable to avoid the need for manual handling, a suitable risk assessment must be carried out of all manual handling operations. The risk assessment in question must take into account the nature of the task, and the nature of the load being handled, the working environment and also the capabilities of the individual. These specify that work equipment must be suitable, maintained in an efficient state, in inefficient working order and in good repair, that proper information, instructions and training are provided to employees, and that there is protection against specified risks to health and safety. These regulations state that every employer shall ensure that suitable personal protective equipment is provided to employees who may be exposed to risk to their health and safety while at work. Such personal protective equipment that is provided must be assessed as being suitable and must be properly maintained. The employer must also take all reasonable steps to ensure that any personal protective equipment provided to employees is properly used. All employers employing five or more employees must also have a written health and safety policy, which must be brought to the notice of all employees. The employer must also ensure that the health and safety of persons other than employees who use the premises are protected. What special situations should you be aware of? Some people are additionally protected under health and safety law, and you need to take additional steps when taking their needs into account. Firstly, your health and safety (especially fire) arrangements need to take people with disabilities into account, and work out how you can accommodate them in emergency situations. For example, you need to consider whether your building has step-free access in the event of a fire. You need to take special considerations into account when having young people (under 18-year-old) on site. For example, taking someone on for work experience – more information can be found here. You also need to carry out another risk assessment if you are dealing with pregnant women in order to avoid exposing them or their child to unnecessary danger – click here for further information. If you run a catering or restaurant business, or any kind of business that serves food – either to staff or to the public – you need to register as a food provider with your local authorities’ environmental health service. Click here for a guide to registering. Some businesses associated with particular hazards, such as construction or chemical engineering, face extra regulation from HSE. Find out whether any particular standards apply to your industry here. How do you write a health and safety policy? If you employ five or more people in your business, there’s no way around it – you must have a written health and safety policy. The policy should be a written document – usually a leaflet or similar – outlining your general approach to health and safety at the workplace. The policy should also include the concrete steps you will take in order to comply. You need to appoint competent persons to help with the implementation of your health and safety policy, which can be a trained member of your own staff or a consultant brought in from outside. Remember that the responsibility still stops with you and the other directors of your company when it comes to liability for health and safety breaches, so getting this step right is essential. The HSE has produced a guide to health and safety for business containing guidance on drafting a health and safety policy, which you can find here. Do you need to train your employees in health and safety? You need to provide appropriate information and training for all members of staff. When inducting new employees, it is standard to deliver a health and safety briefing, which should also cover the particular risks to employees who will be working in hazardous situations. If your working practices change or you introduce new machinery or equipment, you need to undertake a further risk assessment and give your staff the appropriate additional training. As you are legally responsible for health and safety breaches committed by your staff, you should include provision for health and safety in their contracts. In particular, you should make behaviour that breaches your health and safety policy a disciplinary offence. Your employees also have the legal right to be consulted about issues which affect them, including health and safety. It might make sense to set up a health and safety committee, if your organisation is large enough. What health and safety information do you need to provide for your staff? As an employer, you must display at least one copy of the Health and Safety Law: What You Need To Know poster, which is available from the HSE website. You can download, print and display the corresponding leaflet for free, or you can buy it. You must display appropriate safety signs where there are particular hazards – for example, slippery surfaces or dangerous chemicals. More generally, you must keep staff informed about the potential risks to their health and safety, and the steps you are taking to control them. Health and safety isn’t just a one way street. Employees also have a common law duty of care. This means that they must exercise ‘reasonable skill and care’ in their relationship with both their employer and colleagues. 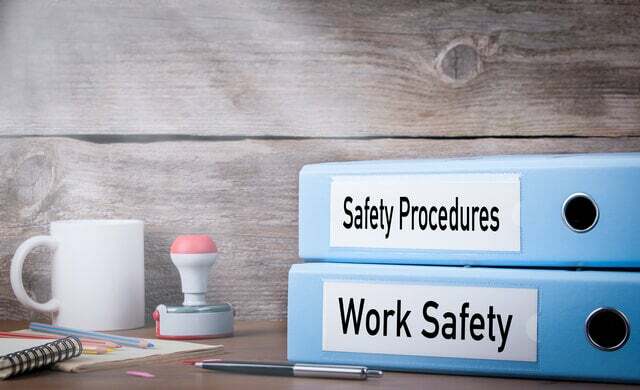 In addition, the Health and Safety at Work Act requires employees to take reasonable care for the health and safety of themselves and other people at work. This extends to co-operating to enable their employer to fulfil a legal duty. Employees must not interfere with or obstruct anything provided in the interests of health and safety at work. An employee who is in breach of his or her duties under the Act may be liable to pay a fine on conviction. He or she may also be dismissed from employment for being in breach of a contractual duty to carry out work with proper care and skill, provided the employee was properly instructed about the safety measures and had been made aware that the interference could lead to dismissal. What particular hazards should you take into account when carrying out a risk assessment? As well as any general hazards you identify as part of your risk assessment, there are particular considerations you need to take into account. Special regulations also apply to dangerous substances under the Control of Substances Hazardous to Health (COSHH) regulations. In a standard office environment this won’t usually be relevant, although some substances such as printer toner must be appropriately labelled and securely stored. What fire precautions do you need to take? 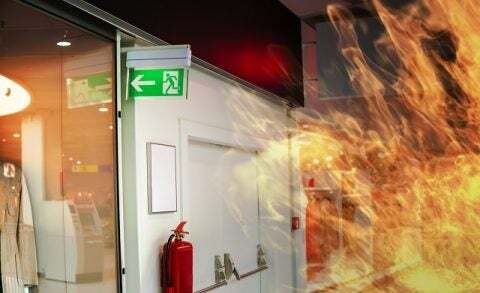 In relation to fire hazards, you need to take additional steps to assess and negate potential risks, laid down in a piece of legislation called the Regulatory Reform (Fire Safety) Order 2005. If your building or office lacks any of these, you may need to make alterations, or you risk being in breach of the regulations. How do you provide for employee welfare? 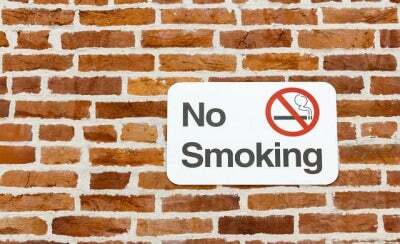 Since the 2007 smoking ban, smoking isn’t allowed in any enclosed workplace with fines of up to £200 or £50 in Scotland. This doesn’t include e-cigarettes. Whether these can be used on premises is up to the employers. Failure to stop people smoking in the workplace can result in a fine of up to £2,500 or £1,000 for failure to display ‘no smoking’ signs. What happens when an accident or emergency occurs? First of all, you need to have suitable first-aid facilities in place for when an accident occurs – the amount of kits and trained personnel you need should be considered when you carry out a risk assessment. In addition, you should have emergency procedures in place, which again should have been developed as part of your health and safety policy. If an accident occurs at work and is serious enough, RIDDOR (Reporting of Injuries, Diseases and Dangerous Occurrences Regulations) rules state that you must report this to HSE or your local authority. Reportable injuries to workers or those that cause them to be off for more than three days must also be recorded in a log book, or using the HSE’s online recording form. The health and safety inspector may visit any workplace without giving notice. For a routine inspection, he or she will usually phone ahead to ensure the relevant staff are available. The main function of the inspector is to secure compliance with the law and help you meet your legal duties. They will only take action against you as a last resort, and will be happy to answer any technical questions, or will direct you to other information sources. Remember: you don’t need to fear a visit from a health and safety inspector as long as you comply with regulations. Use it as an opportunity to ask questions and improve your procedures. Where do you go for help and support? Your local authority’s environmental health department will normally be in charge of enforcing health and safety for most business premises, including offices and shops. Other specific workplaces such as factories that carry particular dangers are administered by the national Health and Safety Executive (HSE), the UK-wide body responsible for health and safety policy. The HSE website has guidance on all of the topics covered above, and should be your go-to resource for detailed health and safety information. For specific industries, your trade association may be able to help you with health and safety matters. The Trade Association Forum website will be able to help you find the industry body that applies to you.